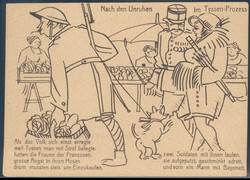 "Nach den Unruhen im Tyssen-Preozess" postcard about the liberation of the Rhineland, unused. 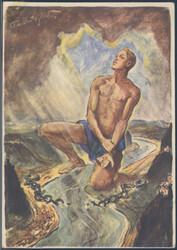 Artist postcard, Theo Matejko, commemorating the liberation of the German Rhine, real used. 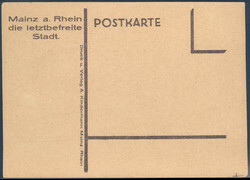 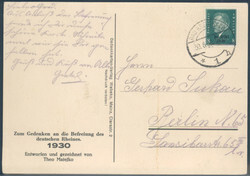 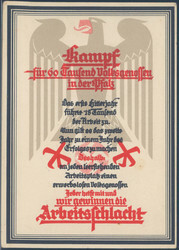 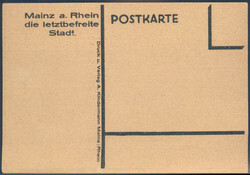 "Kampf für 60 Tausend Volksgenossen in der Pfalz" donation postcard about the liberation of the Rhineland, unused. 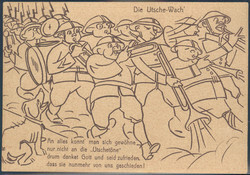 "Die Utsch-Wach'" postcard about the liberation of the Rhineland, unused.